A new UN report describes the devastating humanitarian impact of two years of Israel’s “unprecedented blockade on all border crossings in and out of the Gaza Strip”. Released in August by the UN Office for the Coordination of Humanitarian Affairs (OCHA) in Jerusalem, the report details the rapid deterioration of livelihoods, food security, education, health, shelter, energy and water and sanitation inside Gaza. “The blockade has ‘locked in’ 1.5 million people in what is one of the most densely populated areas on earth, triggering a protracted human dignity crisis with negative humanitarian consequences,” said the report. 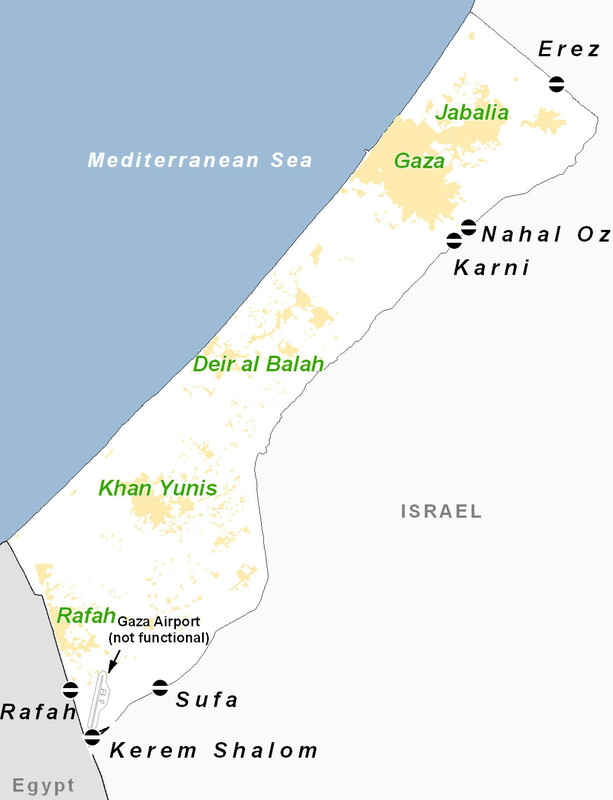 Following the Hamas takeover of Gaza in June 2007, Israel closed all Gaza’s border crossings, and imposed import and export restrictions and a travel ban to and from Gaza. Israel’s 23-day military offensive in Gaza, which ended on 18 January 2009, as well as internal conflicts between Fatah and Hamas, have compounded the suffering of the population, said the report. The Karni commercial crossing has been closed since 12 June. Israel objects to the use of the word ‘blockade’ and has said its policy is to make sure the people of Gaza receive humanitarian support. “We have imposed sanctions on the Gaza Strip; ‘blockade’ is an incorrect term since every day scores of trucks are entering Gaza and the pipelines that bring fuel and water into the Gaza Strip from Israel are open,” Mark Regev, spokesman for the Israeli prime minister’s office, told IRIN. Attorney Sharhabeel al-Zaeem, a legal consultant in Gaza for the UN agency for Palestinian refugees (UNRWA), said sanctions are generally “approved and imposed by the UN Security Council” and that a “blockade is when one entity blocks the borders of another entity; it is an action outside of international law”. 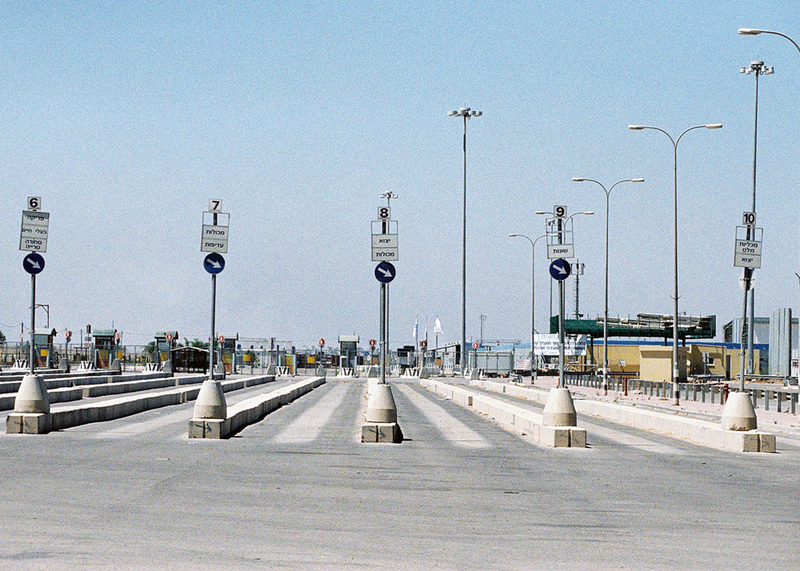 According to OCHA, Karni, the largest and best equipped commercial crossing between Israel and Gaza, has been closed since June 2007, with the exception of a conveyor belt that only transfers grains. Of Gaza’s other four main crossings, Kerem Shalom opens six days a week for limited movement of authorized goods, Rafah border with Egypt opens on an ad hoc basis, Nahal Oz partially opens five days a week for limited types of fuels and Erez opens six days a week for international aid workers and medical and humanitarian cases. “The lack of essential imports, including raw materials, coupled with the ban on exports, has decimated economic activity in the private sector and resulted in the loss of approximately 120,000 jobs,” said the report, adding that about 75 percent of Gaza’s population is food insecure due to soaring food prices, poverty and destruction of agricultural areas. Lengthy inspection procedures at border crossings have also delayed the entry of many vital goods and led to some going to waste. The OCHA report says there are currently an estimated 1,700 commercial containers with imported goods on hold in warehouses in the West Bank and Israel, causing an estimated loss of US$10 million. According to Regev, the Israeli government’s criteria to lift the ‘sanctions’ are the release of a captured Israeli soldier; the halting of sporadic rocket-fire from Gaza into Israel; and the acceptance by Hamas of three principles: renunciation of violence, recognition of Israel and respect for existing peace agreements. “The regime in Gaza is stuck in an extremist theology and has declared war on Israel,” said Regev. The Israeli government has no direct communication with the Hamas government, he added.